Coldwater Creek is a beautiful new subdivision located on Highway 5 South in Benton, Arkansas. With this subdivision, city convenience is coupled with country quiet for the ultimate living experience. The subdivision is located only about 2 and a half miles from the interstate, movie theater, and shopping and dining. The subdivision features two beautifully landscaped entrances from Highway 5. Roads interconnect within the two sections and sidewalks are required to allow your family a safe way to exercise and visit neighbors. A lake located on the property has an improved area to allow all residents access for recreational purposes. A park on the Saline River is within easy walking distance as well. A strict Bill of Assurance and Architectural control protects the value of your home and assure consistent Architectural design. We would also like to point out that we have no special improvement taxes at Coldwater Creek. 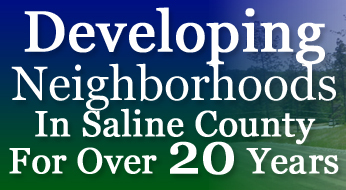 A special Improvement Tax is done when the developer does a bond issue to help finance improvements on the subdivision. You would pay this tax when you pay your yearly property taxes. Special Improvement taxes in Benton range from $100 to $900 per year. In effect, you are paying for the lot as well as an additional tax to help pay for the Developer's development cost. We pay for all of your improvements up front so that you don't have to pay yearly additional taxes! Coldwater Creek is located in the Benton School District. Elementary students will attend Caldwell Elementary.